When art is traded for money the world is mesmerized by record prices – but also suspicious of the processes by which these are obtained. Strangely, however, the art market has rarely been the subject of sustained research. The Forum Kunst und Markt / Centre for Art Market Studies (fokum), founded in 2012 at the department of Modern Art History at TU Berlin, is devoted to the interdisciplinary and interinstitutional study of the art market of all periods. It regularly presents lectures, research and publication projects, as well as international workshops in order to discuss and deepen current research on the art market and its relations to other aspects of the art world. 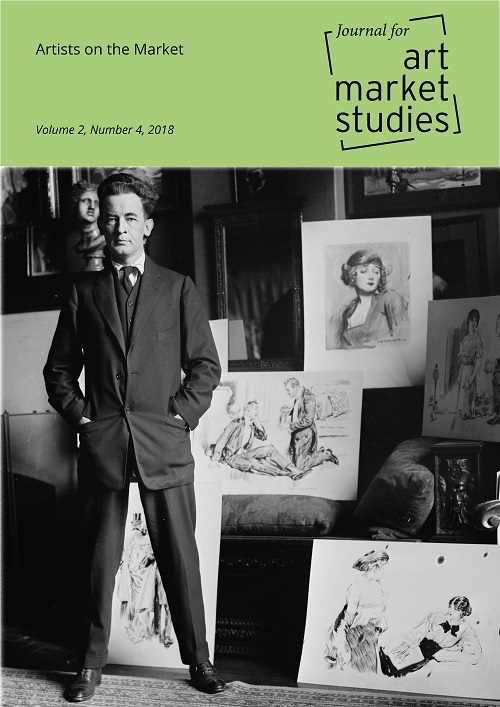 The Journal for Art Market Studies, a peer-reviewed, open-access journal published by Forum Kunst und Markt / Centre for Art Market Studies, will lend further international visibility to these activities. Additionally, the Network for Young Scholars sustains the communication among young researchers in the field of a long-term cultural history of the art market, supporting particularly the development of innovative methods for exploring the relationship between artworks as art historical objects and their cultural and financial economy.